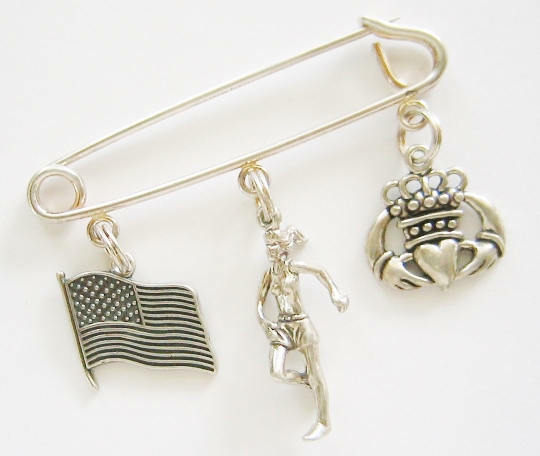 Vintage...Sterling Silver, Sports Sports Teamed Safety Pin. Nice Gift Idea ! 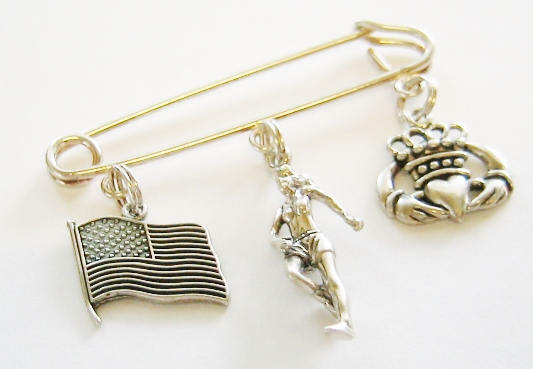 Lovely....Sterling Silver, Sports Sports Teamed Safety Pin. 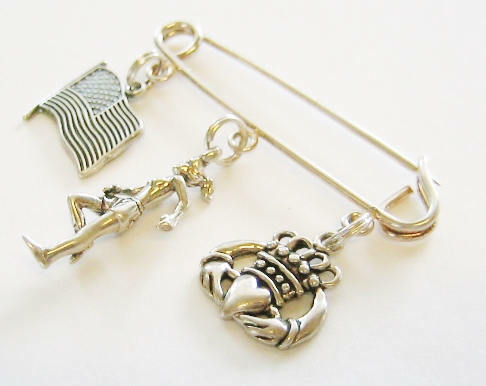 The pin measures 2'' in length and 3/8'' across!... In superb condition. 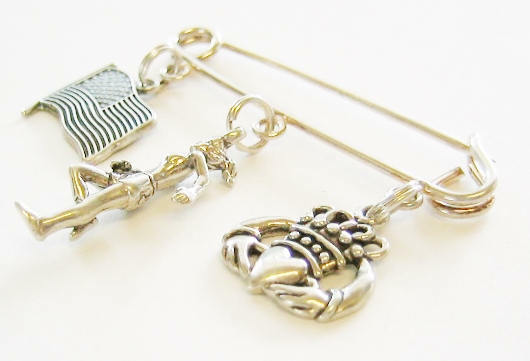 Great gift idea, and weighs 8.2 grams.